These 270cc MicroGP karts are so fun to drive! If you’re looking for an exciting activity to for you and the girls on your hen do in Barcelona, this outdoor karting activity is the ideal option! 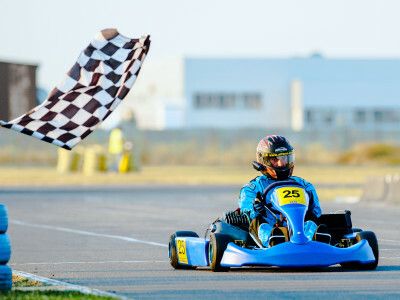 By opting for the outdoor karting option, your group will compete on a special track and though the great outdoors will be zooming by at crazy speeds, you’ll still appreciate the great scenery! Find out who actually has the best driving skills once and for all, and show how girls do it best! You get all of the equipment that you need included in the price, as well as insurance. If you require transfers for the karting, let us know and we will organise this for you. If you are hoping for some different race formats, get in touch and we can organise something instead of the time trials for you.